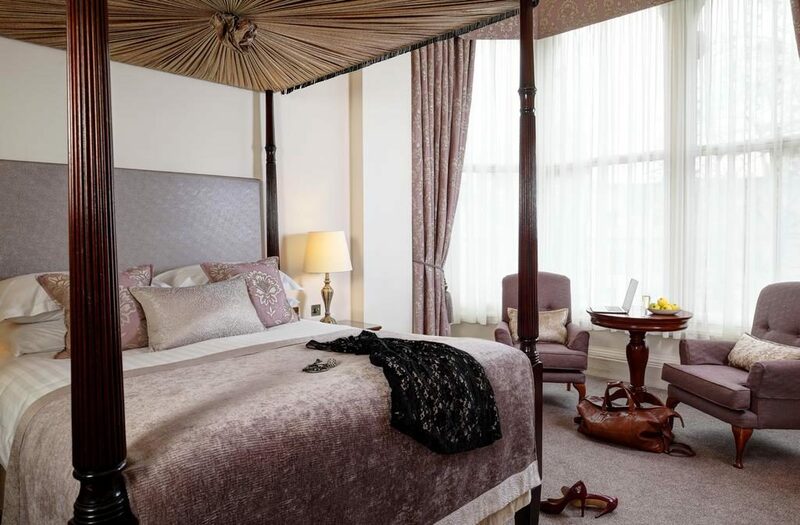 Oxford around May Day is always a magical time, but with the rain pouring down and a cold winter’s breeze characteristic of the temperamental British summer, Macdonald Randolph Hotel was the perfect sanctuary to hibernate in. The rain crashed on the car window as we pulled up to the hotel, but with a perfectly placed archway we were ushered inside the hotel without a drop of rain touching us. Our bags were grabbed and the car was parked with a speed akin to a military operation. The true luxurious 5-star vintage charm of the Macdonald Randolph greeted us, sighing the cold damp air away we were for certain home for the night. It seemed like we were not the only people looking for respite from the storm, the bar bustled with people and the reception was full of smiles. 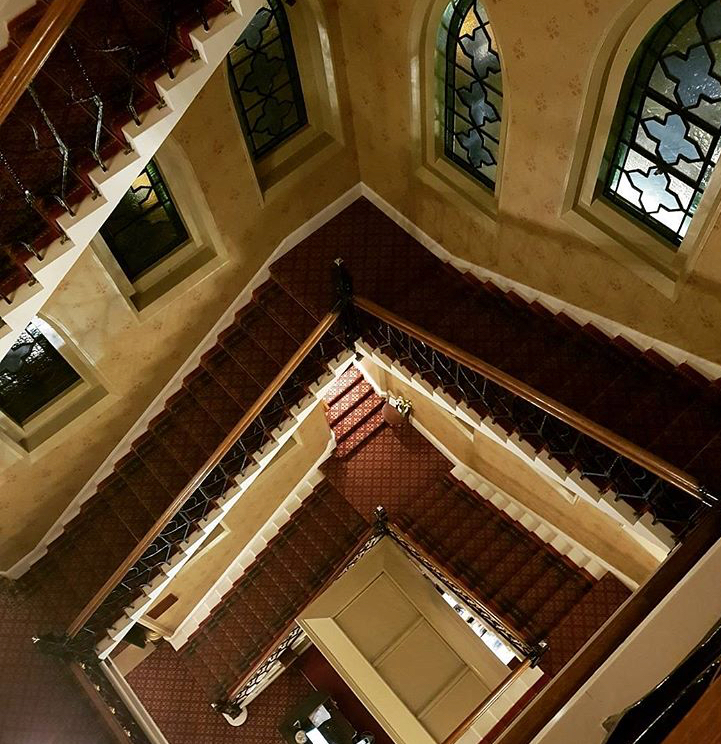 Climbing the stairs with one of the receptionist to our room the heritage of Oxford and the hotel was clear, but more evident was the family atmosphere such a large hotel had managed to maintain. Down a long corridor and we were in our room, which was a mix of modern and old, everything you could need for a lazy rainy day. A reception room, an enormous bathroom, accompanied with a bed fit for a queen, complete with a view of the Ashmolean museum for the final touch to our Oxford adventure. The hotel offers a range of fine dining to suit every pallet, but in the spirt of an adventure and the rain clearing for a moment we took a stroll to Walton Street. for a quick dinner, but not before a quick glass of bubbles in the renowned Morse bar, which was fully stocked with everything you could need to enjoy the night. After technically a fish supper from Loch Fyne, we walked back to the hotel on what was now turning into a winter night in Oxford. The room was perfect for such a night, warm and inviting and ready for a mammoth sleep after such a long flight. Waking from a big sleep, it was time to fuel our day with breakfast delights, in the Acanthus restaurant. Although the food was delicious and there is everything available you could wish for and more, the thing that stood out the most, was the charm and care of the staff. From the hostess at the front of the restaurant who shared details of her journey in the rain in a soft and jolly tone, to the waiter that made sure I had a take away green tea to take on our winter wilderness adventures. 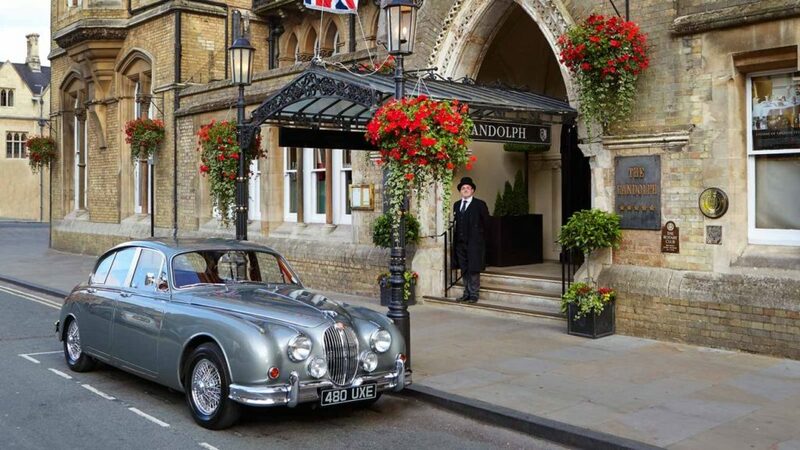 The Macdonald Randolph Hotel is a true representation of everything perfectly British, exactly what you would hope for from a hotel capturing the essence of Oxford.